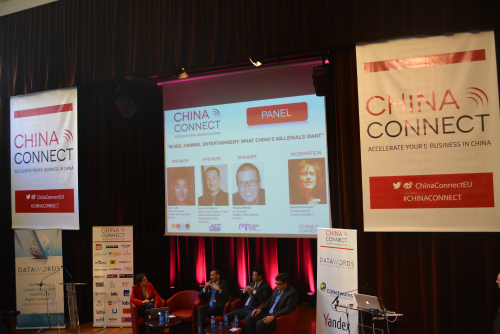 Over the past three to four years, American cosmetics brand Estée Lauder has quickly ascended to the position of a top beauty brand in the world, and the company’s secret lies in its wise investment in the world’s most promising consumer market–China.TIME TO SHARE: Panelists talk about the characteristics of Chinese customers at the 2015 China Connect conference in Paris on March 5. “We became the No.1 beauty brand in the world in department stores, ahead of Shiseido and Lancome, because of the investment we made in China, especially in terms of digital marketing and e-commerce,” said Pierre Abadie Lacourtoisie, Asia Pacific Regional Director of Digital Marketing and E-commerce at Estée Lauder, during a panel discussion at the 2015 China Connect conference. Lacourtoisie attributed Estée Lauder’s success first and foremost to its good quality and then to the company’s deep understanding of its Chinese customer base. As an economic heavyweight, China is quickly realizing its role in the global consumer market. Lacourtoisie is one of the 300 attendees who are extremely keen on the landscape of Chinese customers at the China Connect conference. Founded by Laure de Carayon in 2011, China Connect is the largest European gathering of experts specializing in Chinese consumer trends, digital and mobile strategies. This unique event reaches out to an audience of top-level European marketing and digital decision-makers focusing on the Chinese market. This year’s conference was held from March 5-6 in Paris, France. During the event, attendees shared their perspectives on marketing, branding and mobile challenges in a market that holds both promise and challenge. “Many people are talking about China, but the reality is we should talk about what’s going on with the Chinese,” said Erwan Rambourg, an analyst with HSBC and the author of The Bling Dynasty, a book on the growing Chinese influence on luxury sales. Linda Tan, Strategic Insights Director of media agency ZenithOptimedia, said it’s increasingly important to understand China’s millennials, as they account for an increasing proportion of consumption. She defines millennials as those who reached adulthood at the beginning of the millennium, therefore people born between 1982 and 1994. According to Tan, China’s millennials have several characteristics: They tend to structure their life around happiness, always think about how to make the best use of their potential, approach work in a novel way, pursue meaningful experiences and build their life around social media. Lacourtoisie of Estée Lauder offers some advice on occasion-based branding for Western brands eyeing the Chinese market. “Occasion branding is important because it has a high marketing response rate and a high engagement rate on social media in China. An occasion is more than a festival. It is a specific moment and requires specific timing for a specific group,” he said. “The first thing for global brands aiming at the Chinese market is to mark your Chinese calendar,” he suggested. According to him, in China, major occasions include the Chinese Lunar New Year, Chinese Valentine’s Day (the seventh day of the seventh lunar month), Singles’ Day (an annual online shopping festival that falls on November 11), wedding days, overseas trips and “me time” (a period of time in which each woman slows down to focus on herself by being pampered and relaxing). “Chinese New Year is important. If you market toward this occasion, it means you care for their culture and you care about them,” he said. Alexandre de Sainte Marie, e-Multicultural Consulting Director at Datawords, a multilingual digital services company, agreed with Lacourtoisie, saying respecting Chinese culture is indeed a silver bullet for Western brands vying for the Chinese market. Laurence Lim-Dally, an expert in branding strategy in China, said it’s extremely important to know what influences that Chinese people are under. 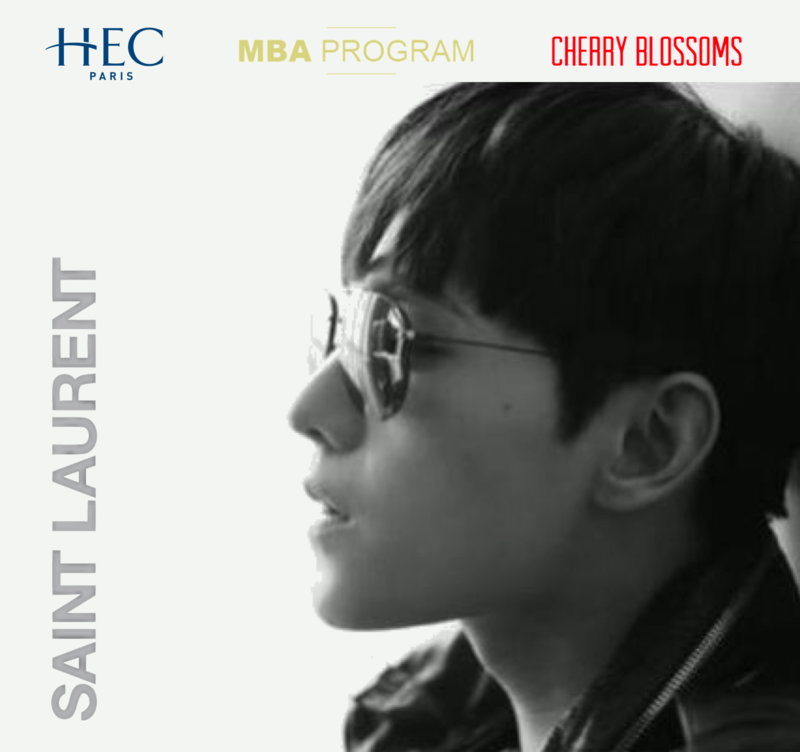 “Communicating in China is always a big challenge for Western brands because they need to change perspectives and understand what are the influences on China, not only Western influences but also Asian influences,” said Lim-Dally, who is also the CEO of Cherry Blossoms, a company she created in Hong Kong to help Western brands better take into account cultural differences between China and Western countries. The Chinese mainland was influenced by the Hong Kong music and kungfu movies in the early 1980s; by the Taiwanese TV genre of “idol dramas,” as well as Japanese skin care, hi-tech, cosmetics, animation and comics in the middle and late1980s; and by South Korean TV dramas and pop music since the early 1990s, Lim-Dally summarized. Angela Huang, Asia Pacific Director of industry researcher Kantar-CIC, said celebrity endorsement has a huge effect on branding in China. Huang, however, said in more mature markets like Japan, customers are more focused on product efficacy and price, which may indicate the future of the gradually maturing Chinese market. “At the end of the day, the product has to stand on its own. Celebrities get customers to try the product, but they won’t stay faithful if the product is low quality,” Huang said. According to data from the State Internet Information Office (SIIO), China has 1.3 billion cellphone users, and smartphone users had topped half a billion by the end of 2014. By the end of 2014, three of every 10 smartphone users in the world were Chinese, said Wang Xiangrong, Deputy Director of the Website Information Broadcasting Department under the SIIO, China’s website regulator. A consensus was reached at this year’s China Connect Conference that since a larger proportion of Chinese have turned to their mobile devices to surf the Internet, brands should establish their presence across China’s most popular mobile applications: WeChat (an instant messaging mobile application developed by China’s Internet giant Tencent) and Sina Weibo (China’s Twitter-like microblogging service). WeChat was originally conceived of as a mobile application and Sina Weibo said its mobile users now account for 78 percent of the total. Huang said marketers should use WeChat and Sina Weibo in a complementary fashion. “Weibo and WeChat are two different types of products. They serve two different purposes. Weibo is more of a media platform. It really helps brands to get recognition for new products. That hasn’t changed at all,” Huang said. “On WeChat, brands can communicate with consumers in a timely fashion, for instance, by using it to advertise offline events, show commercials on there or even offer customer service. WeChat has a lot of functions for brands, but it’s not a media platform at this point, Huang said. Lu Gang, founder and CEO of TechNode, a tech blog focused on startups and tech happenings in China, said China is playing by its own rules and has a unique ecosystem when it comes to social media. Thomas Meyer, co-founder of Mobile Now Group, a company dedicated to developing mobile applications for businesses, said developing mobile games is an economical way to engage with Chinese customers. Last year, his company developed a mobile game app for KFC to engage a mobile audience and build the brand, with associate operations with the famous South Korean boy band EXO. The 3D dancing game app was an instant success and accumulated millions of downloads, helping KFC sell millions of meals in an online-to-offline market campaign. A major issue confronting game companies is that they want to make money from those games, while Chinese people love to play games for free. If games are used for customer engagement by businesses, both customers and businesses will be happy, Meyer told Beijing Review. Chris Guo, Vice President of Yihaodian, an online grocery retailer in China, said the transformation from commerce to e-commerce is a revolution, and now the transformation from e-commerce to mobile commerce is another round of revolution in China. Guo said an increasing proportion of Yihaodian’s users are shopping with their mobile devices. “If you have missed the chance to play the e-commerce game, now is the time for your short cut–mobile commerce,” Guo said.